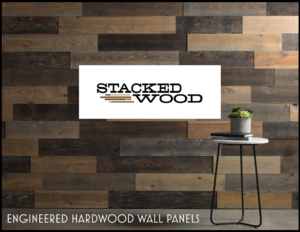 Stacked Wood is made of recycled, carefully selected, and pre-finished hardwood that is shaped into panels which are closely stacked to create exceptional architectural panels. 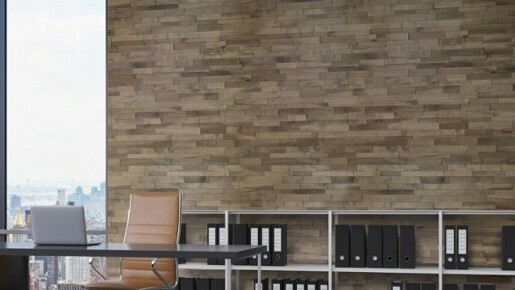 Stacked Wood panels come in a variety of finishes, and contribute to a variety of interior styles. Regardless of the finish, these panels are wonderfully easy to install and maintain. Our Expressive/Naturale Stacked Wood includes the following finish options: Naturale Oil Finish, Expressive Either Natural, and U.V. Finish. Each panel is 023” 0.43” thick and provides 5 sq ft of coverage. Our Satine Collection Stacked Wood has the U.V. Finish with 10% gloss. Accessories include a baseboard, contour molding, and door and window molding. Each panel is 13.5” x 53.5” with 6 pieces per box. Each box provides 30 sq ft of coverage. 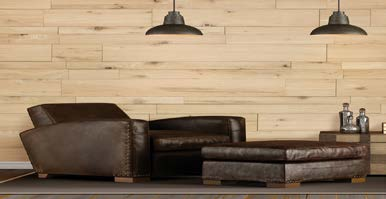 Our Generation Collection Stacked Wood panels are each 14” x 44” and each box comes 4 pieces and 17 sq ft of coverage. It has the U.V. Finish with 10% gloss. The Generation Collection has the contour molding accessory. Our Maisie Collection Stacked Wood panels are each 14” x 57” and each box comes 4 pieces and 5.5 sq ft of coverage per piece. Each piece includes 3”, 4”, and 7” high planks. Finish options include the U.V. Finish with 10% gloss and the Antiqued option using the 100% Natural Oil finish. The vintage collection has antique and rustic appeal. 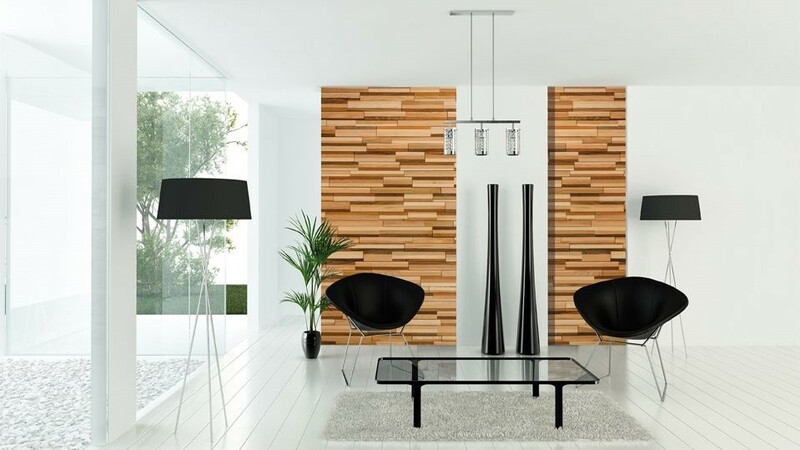 Due to the nature of this particular collection as a unique and organic material, imperfections and variations in wood grain and color may vary from samples provided. 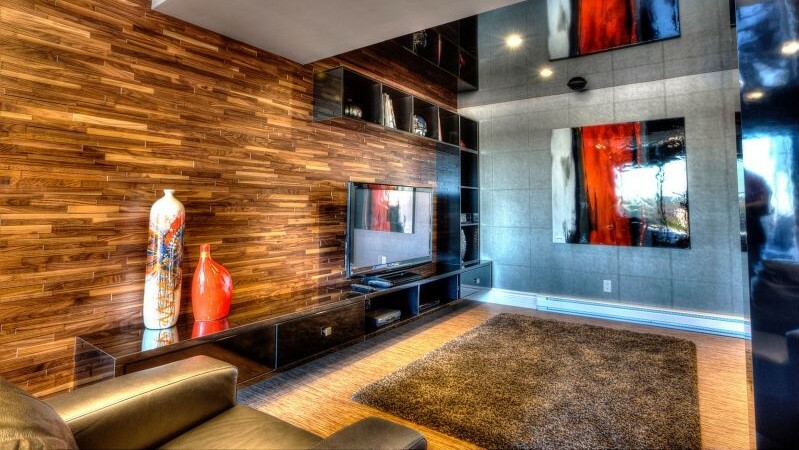 Integrated Décor Solutions provides Stacked Wood architectural panels. Contact us today to learn more about the Stacked Wood options that we can provide you. 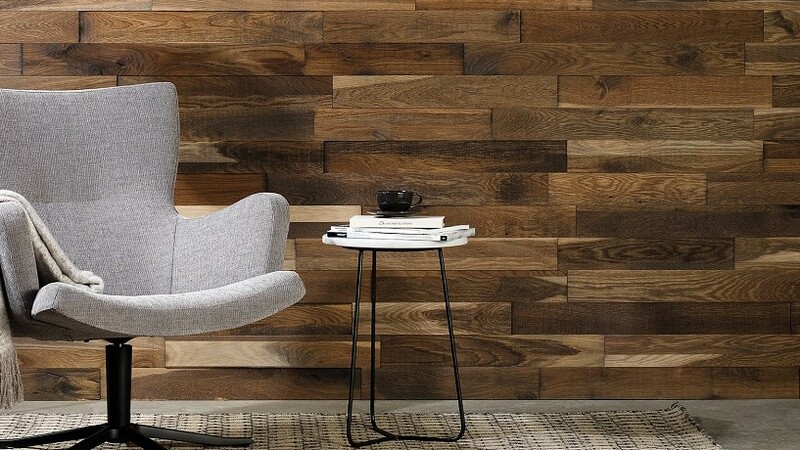 Learn more about our Stacked Wood™ engineered wood decorative paneling from the PDF brochure below.